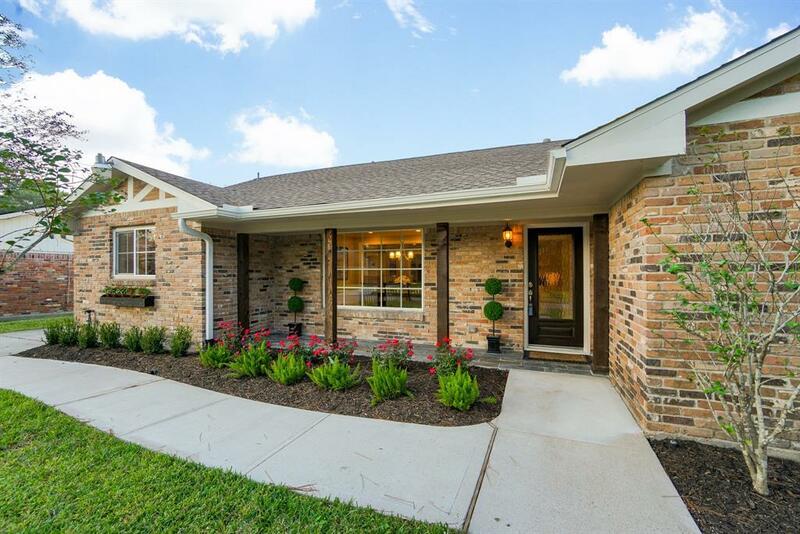 MEYERLAND One Story SHOWCASE! Beautifully renovated from driveway to ceiling! Sparkling swimming POOL/SPA! 4/2.5/2! 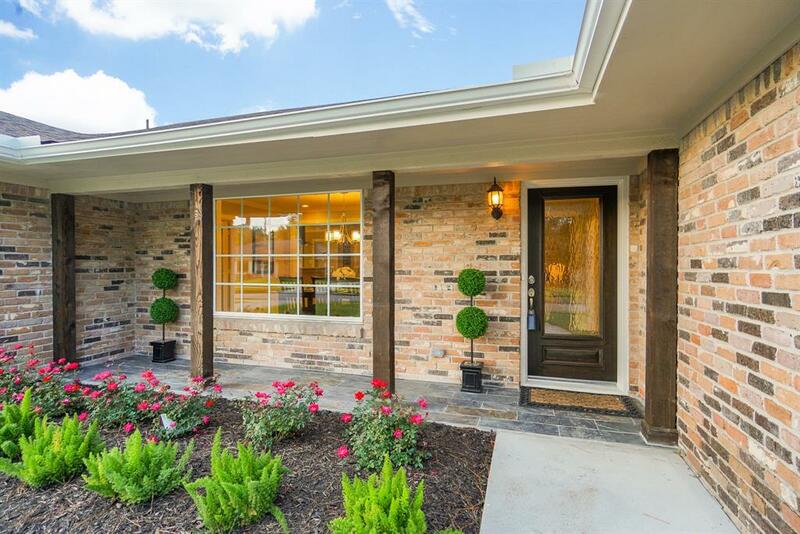 Fine curb appeal boasts of a fresh concrete driveway & walkways. Shaded front porch w/slate tiles. New entry door! Impressive floor plan! Open concept & plenty of natural light! Corner brick fireplace! New DBL-pane Low-E windows-entire home! New water heater! Wood floors in most of home! 3 secondary bedrooms: new carpet, walk-in closets! Formal dining area will comfortably accommodate 10 dining chairs. Executive study w/French doors! 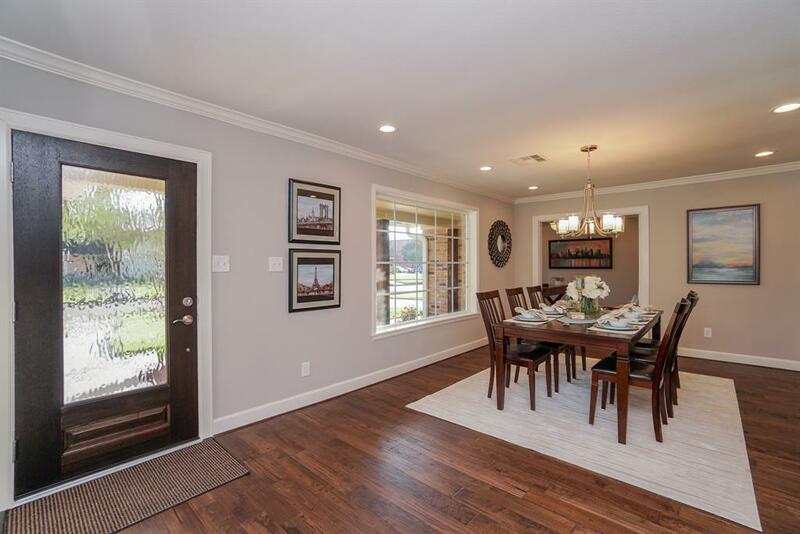 2 open living spaces lend to vast array of options. NEW KITCHEN= cabinets, granite counter, back splash, deep double sink, fixtures, GAS range! Large laundry room! New ceiling fans! Master Retreat boasts of 2 closets! Master bath has double wide shower w/seat & ceiling rain shower head, granite & double sinks! Wrought Iron driveway gate! Rain gutters! Fresh paint inside & out! 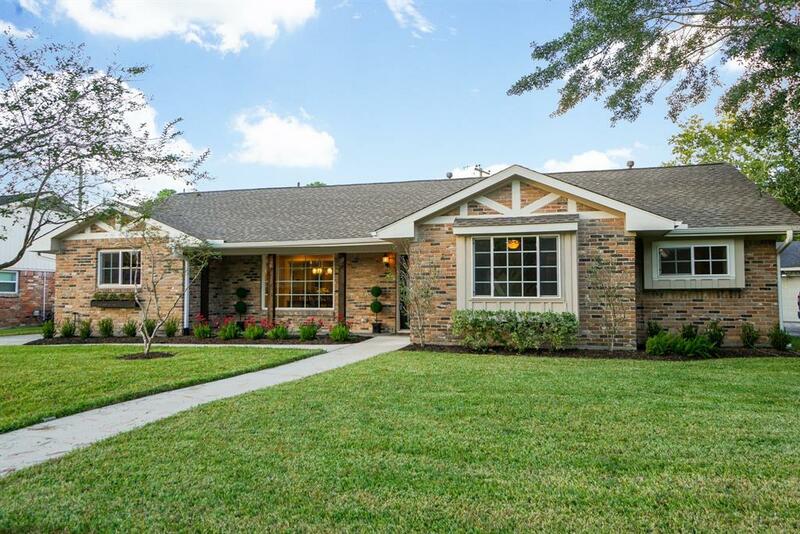 Adjacent to Meyerland Middle School! Did NOT flood! MOVE-IN READY!